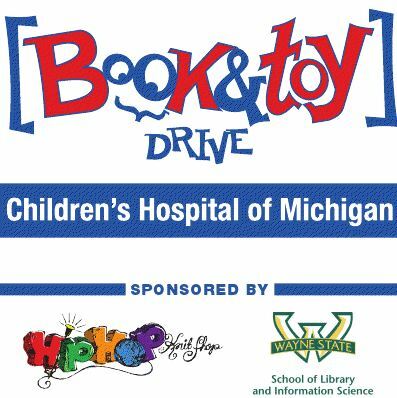 The Wayne State University School of Library and Information Science Alumni are partnering with Hip Hop Knit Shop and Children's Hospital of Michigan to bring sick kids books, toys and stories. Starting November 1 through December 12, we will be collecting books and toys, telling stories, navigating art carts and knitting blankets for the kids at Children's Hospital. Please note that we are looking for ways to have out of state library and information science students participate. We are currently firming up details.